The surface of this 3D VR glasses is matte and it also uses a high-definition optical resin lenses. The max length width of phone is 154mm 82mm. Fits for: Samsung Galaxy Note 4/Galaxy Note 3/ Galaxy S6 Edge/Galaxy S6/iPhone 6s/iPhone 6/iPhone 6 Plus/iPhone 5c/iPhone 5s/iPhone 5/LG G3/SONY Xperia Z3 /HTC One Max/ Desire 816/One M9/ASUS Zenfone 2 etc. A good headset with comfortable padding and head strap adjustment. You will need to find the QR code on the internet as it does not come with the headset and this adjustment for your phone screen makes a huge improvement in performance. 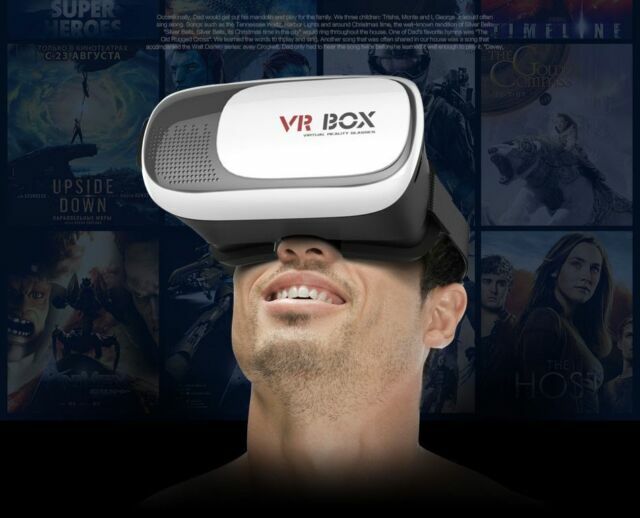 Put your earphones in and enjoy a budget price entry into 3D and VR. This product is really flimsy. It does not support the phone well and all ways slips out the support. This looks good but was bought for a present which has not been given out yet.